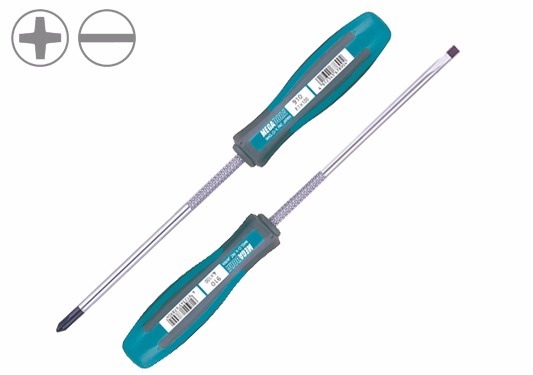 These precision tip screwdrivers feature 4mm or smaller shank diameters, which are ideal for reaching screws in tight recessed areas. 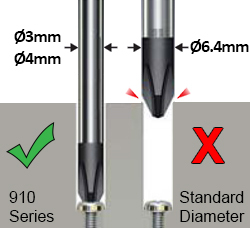 The black point tips are not affected by plating thickness, so the tips fit screw heads with precision. Applications include electronic equipment and components, remote control (RC) hobby equipment, and other general fastening needs. The cross-point models are recommended when working with JIS (Japanese Industrial Standard) and/or JCIS (Japanese Camera Industry Standard) screws.